NEW Clear Packaging. Makes a Great gift! (Includes Box of 10 CO2 Cartridges) Aluminum body with beautiful silver anodized finish, black ABS head with cylinder holder and one box of 10 CO2 cartridges. 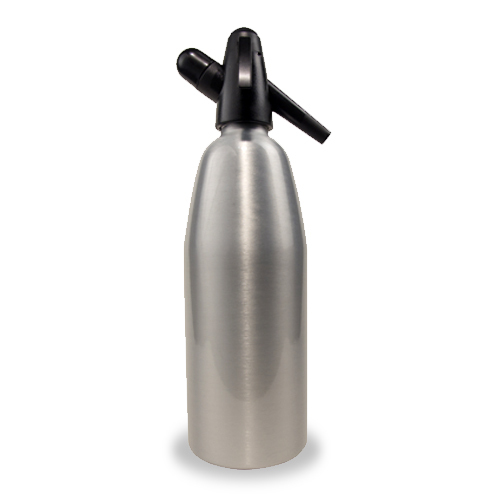 1.0 Liter Seltzer Bottle, aluminum body with beautiful silver painted finish, and black ABS head with cylinder holder. 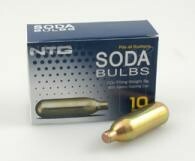 Item is packaged in a distinctive, modern clear gift box.